Got a headache? Eat these Foods! (NaturalNews) In today’s complex, connected world, headaches are more and more common all the time. Tension headaches, which are caused by daily stressors, affect 80 percent of adults according to the World Health Organization. To exacerbate the problem is the proliferation of wireless devices and cell phone towers which emit EMF radiation which massively contributes to headaches, among other health problems. Luckily, there are superfoods that can help soothe headaches naturally. Magnesium-rich foods can help soothe headaches by relaxing blood vessels. To beat headaches before they strike, eat a diet rich in magnesium-rich foods such as almonds, bananas, avocados, legumes and seeds, spinach, and brown rice. As is the usual recommended protocol for NaturalNews readers, try to buy these and any other superfoods organic to avoid nasty pesticides and herbicides. A pounding head may be a sign that your body is deficient of calcium. Since the brain depends on calcium to function efficiently, it’s important to consume calcium-rich foods regularly and particularly when you have headache. Some foods loaded with calcium include yogurt, sesame seeds, almonds, and dark leafy greens such ascollard greens, spinach and kale. Omega 3-rich foods are excellent for healing headaches because the essential oils reduce the inflammation that happens when the blood vessels in your head become inflamed and constrict, the result being headache pain. Thus it’s important to consume Omega 3-rich foods regularly, and particularly when you have a headache. Some foods rich in omega-3s include fish such as herring, salmon, tuna, shrimp, halibut, red snapper or sardines, walnuts, olive oil, and ground up flax seeds or flax oil. Flax oil or seeds can be mixed with fruit juice and consumed as a drink to help make them more palatable. Vitamin E is important to consider when facing a headache because when it is present in your body, it works to promote circulation and healthy, normal blood flow, which can ease headache pain. Therefore, it’s important to make sure to eat Vitamin E-rich foods when you feel a headache coming on. Foods rich in vitamin E arealmonds, papaya, kiwi, red bell peppers, and broccoli. 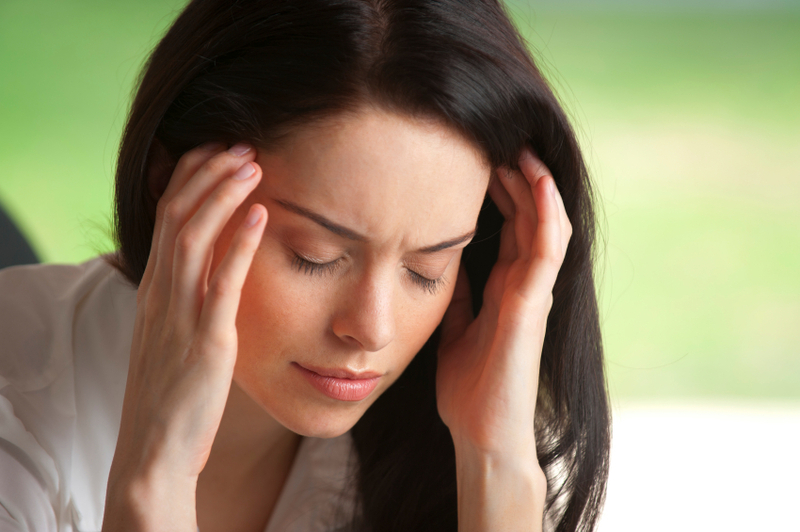 Since being dehydrated can exacerbate headaches, re-hydrating becomes critical to getting headache relief. Since many of us have trouble remembering to drink enough water, eating foods filled with water is a no-brainer for re-hydrating. Some foods with high water content include watermelon, melons such as honeydew and cantaloupe, cucumber, berries, lettuce, and soup. Ginger is a superfood that’s considered to be one of the most effective headache cures. Like omega-3 rich foods, ginger has the power to reduce the inflammation associated with headaches. Making ginger tea from raw ginger slices is an easy way to make a stand-alone headache cure. You can also add ginger to many recipes to make your favorite recipes into more powerful headache soothing superfood. Now you’re armed to take down even the toughest headaches naturally. Also, if you find yourself at work or home surrounded by Wi-Fi, venture out into nature away from buildings to get additional relief from the EMF fields that promote and exacerbate headache pain.